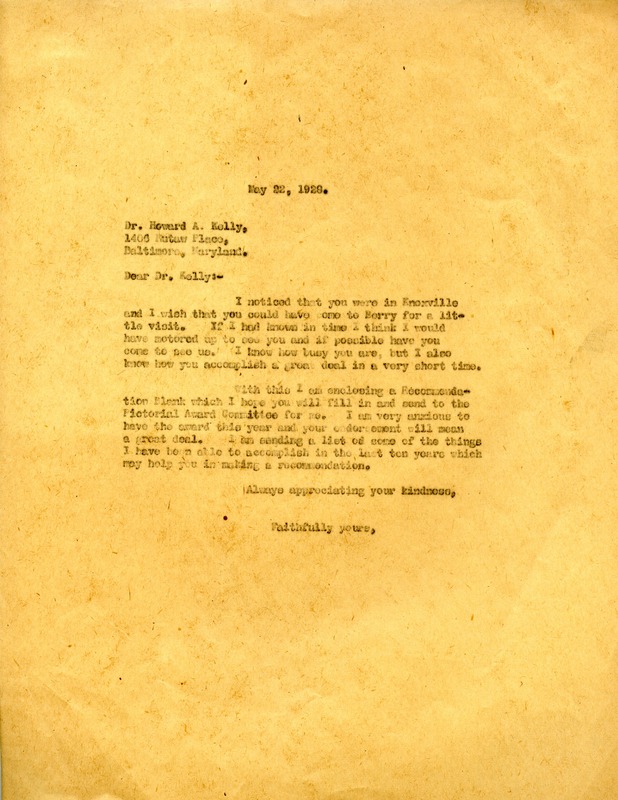 In this letter Martha Berry tells Dr. Kelly that she would like to see him while he is in Knoxville. She also asks him to fill out a recommendation for the Pictorial Review Award. Martha Berry, “Letter to Dr. Kelly from Martha Berry.” Martha Berry Digital Archive. Eds. Schlitz, Stephanie A., Jordan Brannen, et al. Mount Berry: Berry College, 2012. accessed April 21, 2019, https://mbda.berry.edu/items/show/8125.